This Chakra Mini-Series includes 12 recorded classes. Each class focuses on one chakra at a time and one theme of that Chakra. Each class in the Mini-Series is 40 to 75 minutes in length and is taught by Dr. Christina Wilke-Burbach. Classes also include a workbook and a 30 minute recorded hypnosis session. The classes are available for you to purchase and complete at your pace, on your own time. You definitely do not have to do them in order, you can pick and choose which ones you are interested in, and you can take them at anytime. Each class is $20. Pay for the for the whole series (12 classes), save $60! Throat Chakra, The Archetypes, and the Stories of our Lives. Third Eye Chakra and The Foundations of Intuitive Development. 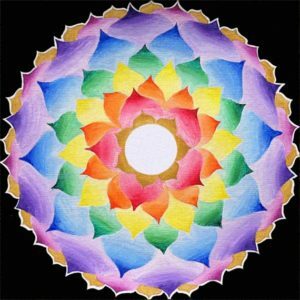 Great Central Sun, Your Light Body and Merkaba, the Layers of the Aura, the Ascension Process, and Connecting to your Higher Self, Spirit Guides, Angels, and Higher Energies of the Divine. Registration Info: Contact Dr. Christina with questions at mindsoulandself@yahoo.com or 608.393.7353. Payment in full is required before any class materials will be sent to you. All sales are final. Pay for the whole series in advance and save $60! After payment is received, within 24 to 48 hours Dr. Christina will email class recordings and class workbook to student.